Cyber Monday, or the smart alternative to Black Friday (see horror above), serves that purpose or may help aid in the recovery of those who have attempted Black Friday and, as a result, never again wish to leave their homes. Just a few days after the stampedes at the big box retailers, and after people have had so much turkey leftovers that they no longer have the motivation to move, online retailers take over. Interestingly, my husband Robert works for a rather large retailer, and he informed me that many of their online deals are better than the sales were in the stores on Thanksgiving and Black Friday, so you really may be better off shopping from home. Robert and I simplified our Christmas gift giving a few years back, but if we were still up for the commercialism, I have found some great resources we would use because they also support good causes, mainly fighting human trafficking. I only have a small list compiled, but I am sure more wonderful resources are out there. Though we live in a time of horrible injustices, we also live in a time where more movements seem to be rising almost daily in order to stand against and combat these injustices. So, if you know of any more, please feel free to add them to the comments so others can also be informed. First of all, Amazon has a great program of non-profits being able to get a small percentage of purchases (Amazon Smile), but you need to sign up for the organization so that as you buy gifts, or even a few treats for yourself, you are actually contributing to a cause. You have options, but I found out about this through Love 146, one of my favorite organizations that combats trafficking, spreads awareness, and offers aftercare. Follow this link to sign up. I also know of a few great places set up with the purpose of empowering people who may not otherwise be able to make fair wages, and they are truly beautiful items. Imagine Goods is one I discovered through Love 146, as they have a line of clothing, but there are also other artisans on their website. Another, Trades of Hope, was actually started locally where I live and they have artisans worldwide (and some right here in the US). Through today, TOH is offering selected items at 50% off. You can also donate to organizations in someone’s name as a gift. Again, I discovered this through Love 146, but there are other organizations out there if something else suits you better. These are called Giving eCards. Not For Sale, another great organization fighting human trafficking has an online shop as well. I’ve had the Rebbl tea, and it is delicious. There truly are a number of other places where your shopping can do good for the world. Please consider this as you check off your shopping list this holiday season. 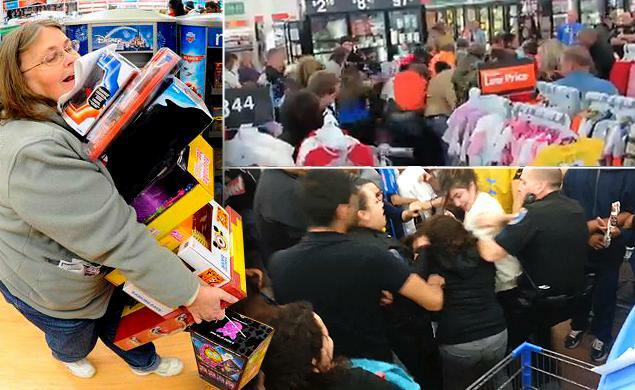 If Black Friday has left you feeling ill towards your fellow man, you can remember people with third world problems instead of first world problems, and touch their lives. Happy shopping. Happy holidays. *Since this post is all about helping your fellow man, and I plugged places mostly with a heart towards freedom and empowerment and human rights, this will be my human trafficking post for the week. Posted in Human Rights, Uncategorized and tagged better than Black Friday, Cyber Monday, empower women, end human trafficking, gifts for a cause, gifts with purpose, human rights. Bookmark the permalink.